Sometimes It Just Doesn't Go Your Way! There are many disappointments in racing and today was one of those days. Jack Sherwood rode Kayflin at Plumpton in her return to fences. The race was a 2 and a half mile handicap for conditional jockeys. 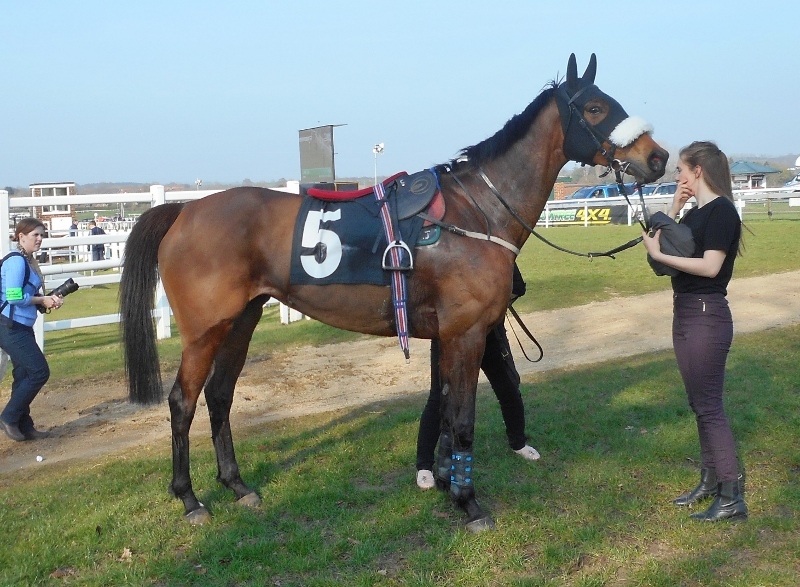 She was calm in the paddock before the race, always a good sign with her. Jack had her towards the back of the five horses early on, as instructed, and she travelled well with the favourite making the running. Coming past the stands with a circuit to go she moved into second place and took closer order with the favourite to his outside. They seemed to be creating a gap between them and the others approaching the fence going to the top of the hill. Here the favourite blundered, unshipping his jockey, before diving right into the path of Kayflin who could not avoid him. Despite a valiant effort Jack was unseated and then trodden on. While there is no way of telling what would have happened without this melee, Kayflin looked to be going very well, starting to pull away, and Jack is convinced she would have won. Kayflin recaptured after the race. 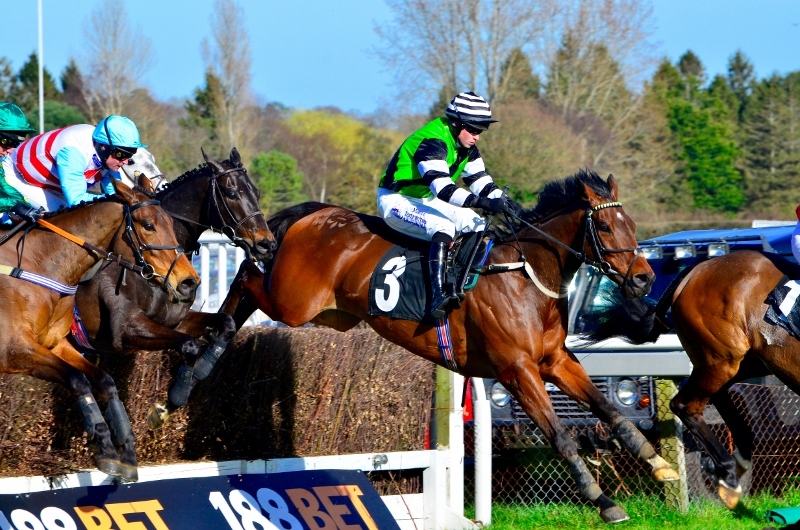 Linda sent four horses to Plumpton today. 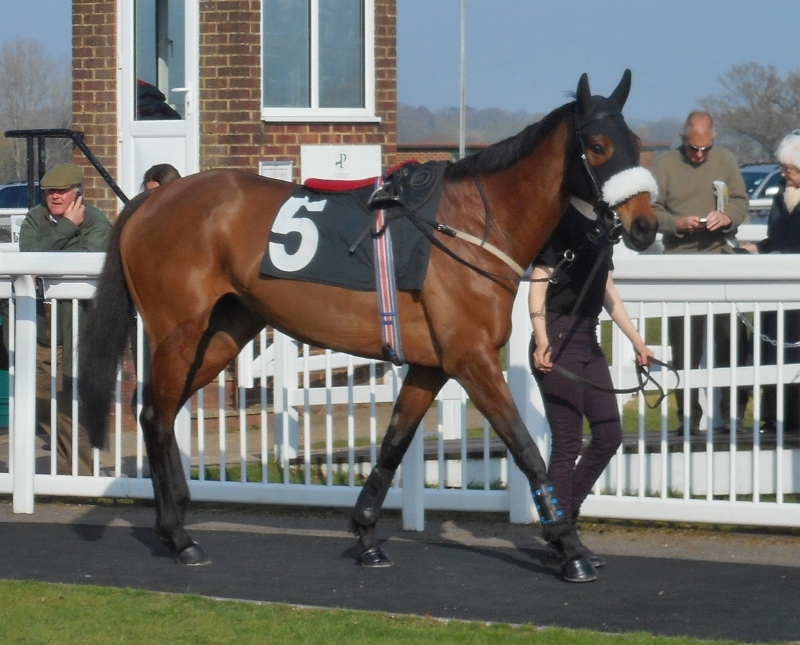 The course looked good in the glorious spring sunshine and the horses put smiles on everyone's faces. 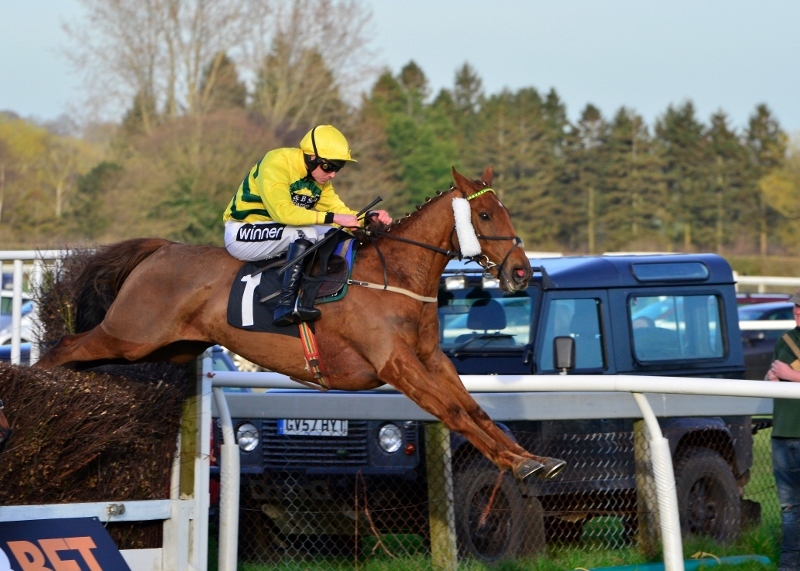 In the opener, a National Hunt novices hurdle, Linda had two of the four runners in Moneystown and Pippa The Dancer. The other two horses were a class above, both being rated in the 130s, so it was no surprise when they pulled away. 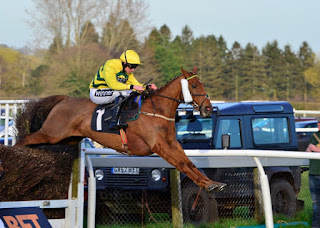 Moneystown ran and jumped well but was no match for them finishing 46 lengths behind them, which still constituted an improvement and probably best performance to date. Pippa was disappointing, never really travelling, but her 4th place still earned £200 prize money. 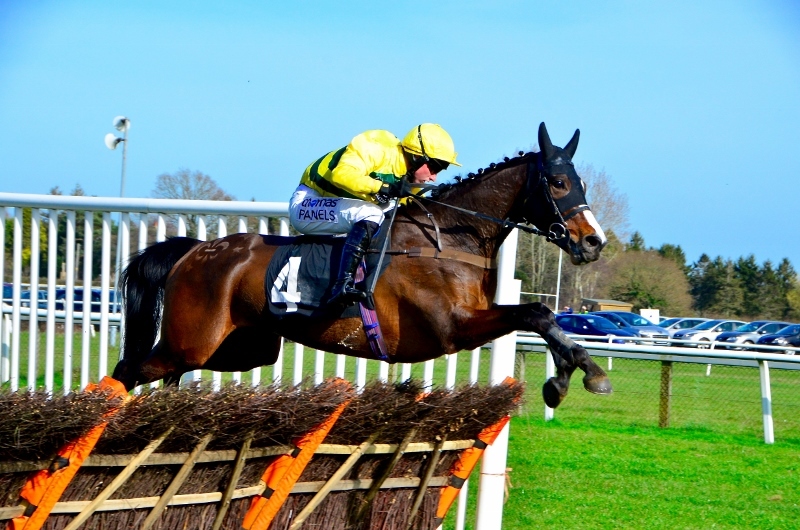 Clonusker was the next to race in the novices handicap chase, ridden by Tom Garner. He travelled well and probably jumped his best yet with no sign of a mistake. He ran in midfield early on but moved up going to the final circuit. He took the lead over the open ditch three out but was caught over the last by the bottom weighted horse. 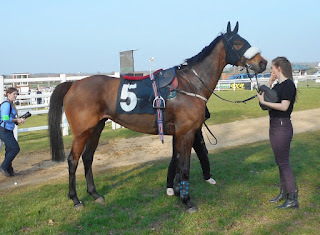 He finished second beaten 2 and three quarter lengths. Finally it was the turn of Itoldyou. 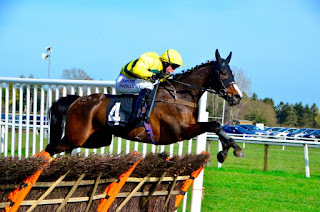 Ridden by Tom Cannon and carrying top weight he was intending to be settled in mid division early on but Goring Two set off to make all and it was left to Itoldyou to lead the chasing pack, albeit at a sensible pace. He began to close on the leader with Venetian Lad down the back straight on the final circuit. He jumped into the lead over the open ditch and was a length and a half to the good round the railway bend. However entering the home straight Venetian Lad rallied and the two battled over the last two fences just ahead of Royals And Rebels who had closed on them round the bend. Itoldyou touched down just in front over the last and looked like he might hold on with 50 yards to go. The three horses flashed across the line together for a three way photo. 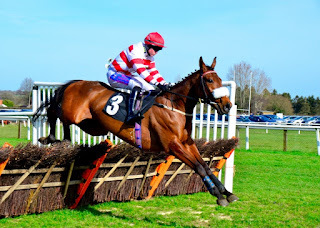 Unfortunately Itoldyou had been beaten into third place but this was a tremendous effort after his disappointing outing over hurdles last time. There was a big turnout for breakfast this morning, and the first signs of spring put everyone in a good mood. Horses worked on the track and some were schooled over the jumps. 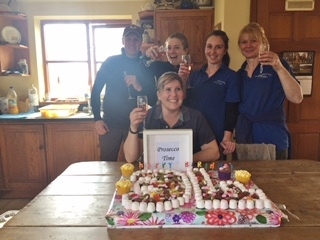 The whole morning was rounded off nicely when the staff celebrated Karen's birthday. 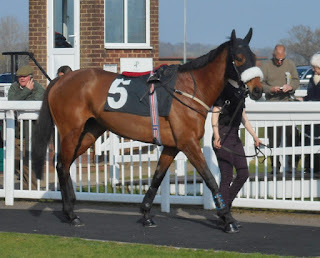 There is more to the Southfield's team than just Linda, Paul, Karen and the stable staff. When Ben, the farrier, was up recently he received a thank you reward from Linda for his work in getting Clonusker his Plumpton victory. Linda said, "It has always been my practice to give Ben a reward every time he plates a winner. A lot of the horses have delicate feet and take a lot of effort from the farrier to shoe and balance the foot correctly helping us to keep them sound and running ! " 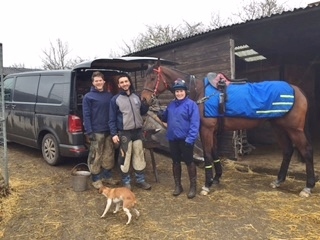 Ben with Chris, his apprentice, Karen, Molly the dog and Clonusker after receiving their picture from Louise Bruce and winnings.